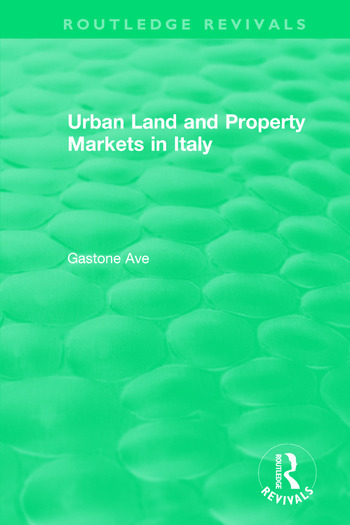 Originally published in 1996, Urban Land and Property Markets describes the intricacies of the Italian urban planning system, and the interconnections between the property sector, the national economy, and recent historical developments, including the new challenges facing Italy after the early 1990s collapse of the party system. The book’s underlying thesis is that property values are ultimately created by urban planning and investment in infrastructure. Negotiations between local government and developers focus on three basic issues: the ultimate use of urban land, the quantitative control of development via planning permissions relating to city master plans, and the nature of public investment to support growth and property values.